These lines announce Brottman’s intention to reject the glamorous mythologies that surround serial killing, from pop culture’s absurdly stylish aesthete-murderer Hannibal Lecter archetype to true crime paperbacks’ and TV documentaries’ fetishistic focus on the peculiarities of the killers. Even though the book alludes to the headline-grabbing careers of murderers from Ted Bundy to the Boston and Hillside Stranglers, Thirteen Girls flagrantly ignores them and presents instead a portrait gallery of the victims and those who knew them, whether intimately or fleetingly. The killers are in fact hardly mentioned in the stories themselves; Brottman reserves the details of their crimes and sometimes even their identities for an appendix in which she reveals the factual basis of each case. The main texts, on the other hand, narrate the lives of ordinary women who fell into the fantasies of deranged men, as if into so many fissures in the earth, while trying to make a life for themselves, often out of the least promising materials. Brottman writes with a complete lack of condescension or pity about the everyday lives of ordinary American women, whether they are aspiring opera singers, nurses who work in casinos, meth-addicted prostitutes, paranoid ex-Scientologists, or unemployed wives in trailer parks. In the spirit of Auden’s poem, Brottman’s stories insist on mundane reality, the workaday world of cracked teacups, as the basis of even the most extraordinarily horrific experiences. 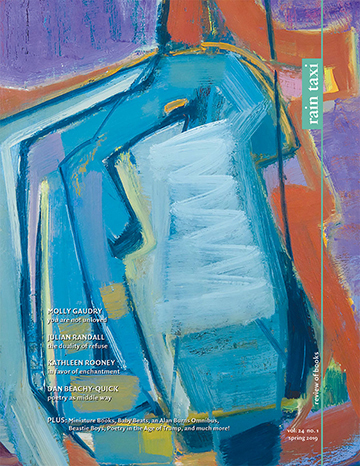 The true radicalism of Thirteen Girls is found less in its implicit protest against the relatively rare extremes of misogynist violence committed by the over-exposed likes of Bundy and Speck than in its portrayal of the desperation of average American reality, whose inhabitants’ vulnerable lives often come down to a choice between various forms of hideous toil or else poverty. Brottman uses the attention-getting lens of serial murder to focus on less immediately arresting—because far more depressingly commonplace—topics like domestic battery, addiction, unemployment, homelessness, divorce, and mental illness. Her stories suggest that serial murder is not some wild aberration, some unfathomable monstrousness, but rather a predictable feature of a desolate cultural landscape that offers most people few choices. But the ugliness of Brottman’s themes is mitigated by her literary energies. 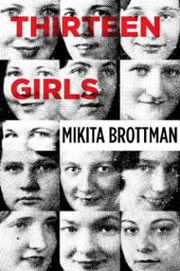 Better known as a cultural theorist and psychoanalyst, Brottman is relatively new to fiction writing, which makes the narrative skills on display in Thirteen Girls all the more remarkable. The book certainly exhibits more formal variety than most short story collections. Each story is expertly told from a different point of view and in a different style: Brottman gives us a lawyer’s internal monologue, a therapist’s session notes, a police interview with a homeless man, a homicide report, several traditional first-person remembrances, and even a story in the classic post-Chekhovian mode of third-person narration marked by free indirect discourse. Brottman’s literary inventiveness, like the lives of her heroines, testifies to the importance of creativity in the face of chance and destruction. In the end, the dominant sensibility of Thirteen Girls is one of mordant compassion. Its intense empathy for those who have suffered saves it from true-crime exploitation, but its unsentimental and sometimes even darkly humorous accounts of routine violence, enacted at all levels of society and invading every life, prevent it from becoming a self-righteous victimology. Brottman’s grimly pragmatic literary stance recalls such earlier artists of the quotidian macabre as Shirley Jackson and Flannery O’Connor: Thirteen Girls is an impressive successor to their stories of American dread. This entry was posted in Uncategorized and tagged Spring 2013 on October 29, 2013 by admin.